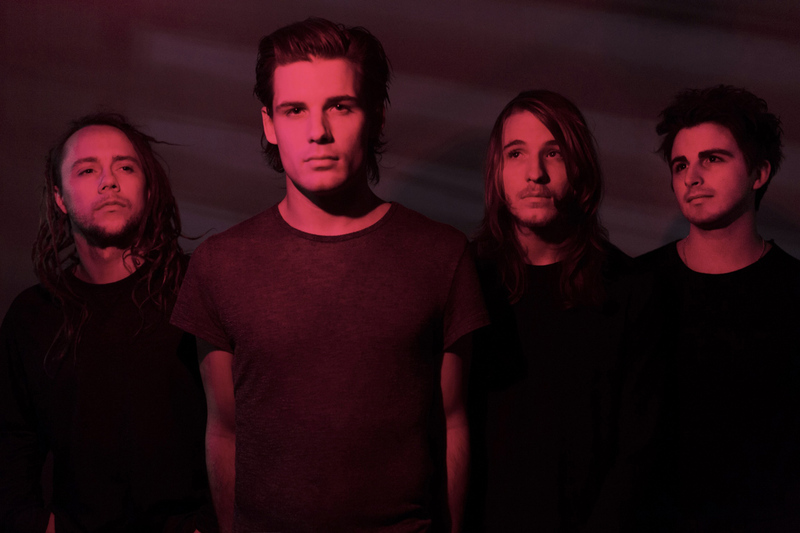 I See Stars have been creating a strange blend of metalcore and electronica – not quite dubstep, but a close cousin to it – since their inception. On their fifth full-length, Treehouse, a lineup change has led to a stylistic change as well… sort of. After their last album, 2013’s New Demons, long time members Jimmy Gregorson (guitar) and Zach Johnson (unclean vocals, keys) departed, leaving previously clean vocalist Devin Oliver as the primary songwriter. The band still utilizes two vocalists (drummer Andrew Oliver is now co-vocalist and performs keys live rather than drums), but it’s enough of a shift in sound to startle longtime fans for sure. While both Devin and Zach screamed on previous albums, Devin did most of the clean singing, and his voice is very pop-oriented. By which I mean top 40 R&B, albeit modified to match the band’s electronic and rock elements. The result lands somewhere between Justin Bieber and Jonny Craig or Tyler Carter, with a touch of nasal whine. It’s an extremely distinct sound and it features prominently throughout the album, and while bits of this style have popped up on previous I See Stars albums, the focus on the band’s melodic side receives the bulk of their attention here. I say all this in advance because if you are a dedicated I See Stars fan, Treehouse will either surprise you, or infuriate you. It’s a deliberate rebranding (much the same as Bring Me The Horizon recently undertook), and it’s going to be very polarizing. At the same time, while it’s not the most consistent album, what I See Stars do well on Treehouse, they do flawlessly. Leadoff track “Calm Snow” sets the tone with an exclamation mark. The auto-tuned crooning vocal over a minimal electronic backdrop that starts the song is the most “pop-radio” moment on the album, and starting with it has to be a deliberate choice. When the chorus drops, though, all notion of Top 40 play is banished. It’s not a particularly heavy song, but the old-school techno elements (anyone remember Pendulum?) and crashing guitars are enough to make the explosive chorus too rowdy for anyone not familiar with headbanging. There’s even a brief, muted scream leading into the outro, with a 2000s screamo edge to it. “Break” fakes you out with a heavy, electronic-heavy intro, but morphs into a soft, incredibly pretty verse (the sparse piano accompaniment is chilling). It’s once again super poppy, but the chorus is dark and swirling, approximating Sleeping With Sirens pretty well. “White Lies” actually stretches even further and pulls in elements of 10 Years sound for the chorus (the slightly distorted, high-pitched, belted chorus vocals sound *just* like Jesse Hasek), while drifting through the minimal verses with a very interesting, reverb-drenched not-quite-falsetto where the notes sometimes feel intentionally stretched. The high notes sound forced, but that seems intentional considering how easily even higher notes are reached elsewhere on the album. “Everyone’s Safe In The Treehouse” begins to highlight the album’s biggest problem: the songs are very formulaic. Once again we get a very soft verse and a big, singalong chorus. Yes, those are common elements for rock songs, but to have the same exact pattern and tempo four songs in a row gets tiring, especially on the songs that lack memorable hooks like this one. “Running With Scissors” falls into the same trap: heavy intro, soft verses, arena-sized chorus is the name of the game. The chorus hook is good enough to warrant a listen, but the verses drag the song down. Lead single “Mobbin’ Out” follows, and is fan-service to the old-school I See Stars fans. It starts soft again, but it’s the first song to indulge in any sort of metalcore screams vocally, let alone rely primarily on them. Unfortunately, it’s a hookless mess that feels incredibly forced. The electronic elements are fun and well thought-out, recalling fan-favorite “Filth Friends Unite,” but the rest of the song is unforgivably dull. I understand choosing it as a single to ease fans into the transition, but the 11th track, “Portals,” does that so much better. “Walking On Gravestones” is another really weak song, feeling more like a 4-minute interlude than a standalone piece of music. “Light In The Cave” rescues the album, with a huge, djenty lead riff and the most massive chorus of the album. It’s a perfect mix of the old and new, with ripping guitars and sinister, glitchy electronic loops, but it’s also downright gorgeously melodic. Fans of Saosin will likely love this song. Next up is “All In,” and it’s where the band really start to find their stride and get WEIRD. The verses are straight up R&B/Pop, even with a bit of auto-tuned rap (there is a HUGE Issues vibe on this song), but the bridge is primarily an instrumental breakdown, and the chorus is another fist pumper. Halfway through the song, the band also begin thread in old-school techno and mash it up with both the R&B and metalcore elements. It’s a ballsy, strange tune, but it pays off. “Two Hearted” is equally bizarre. The band veer in a completely new direction and create one of the most banging pop-punk-party-summer jams of the year. There’s still a dash of choppy electronics and djent breaks, but this sounds more like New Found Glory with a DJ than anything else. The most surprising thing is that it’s the best song on the album. The next song is “Portals,” and it’s the second best track here. It’s also the most like old ISS, mixing roaring explosions of metalcore and pauses of dreamy clean vocals expertly so that both halves are equally important. It also helps that the verse guitar riff, while not particularly original, is very moshable. Closing track “Yellow King” once again chooses to experiment, although with less success. It doesn’t do anything wrong, per se. The traditional pop-core verses and chorus, the heavy break, and the soft ending are all OK, but no part of this song stands out and makes you pay attention, which is the opposite of what you need from a closing song. I worry for I See Stars. Treehouse is a deeply flawed record. The middle drags hard, half the songs feel like filler, and the new direction is sure to alienate many older fans. But I am also supremely excited for them, because if they can smooth out the rough spots and zero in what works for them now and what no longer does, they could easily make an album of the year contender with their next release.